Mayfords Surveyors Ltd - Architectural Services, Surveying based in Beaconsfield , Buckinghamshire. 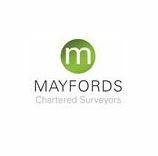 Mayfords offer a wide range of chartered surveying services and residential lettings with competitive rates and the highest professional standards. We are a family run RICS registered professional surveying practice, established since 1979 and our offices are in Beaconsfield, Ruislip, Ealing, Windsor, Westminister and Knightsbridge, covering South West England. We specialise in providing a bespoke service to our clients. Unique in the way we operate as a practice, we also stand out from the competition in being able to guarantee communication 7 days a week with our clients. We operate throughout the weekend so we are able to attend to any requirements or queries in courteous and punctual manner. We cover London, Middlesex and Buckinghamshire areas.